Developing the future of soccer players! Congratulations to the 11 players from Hawaii 808 SC that represented the Kalani High school varsity team: Christopher Sigler, Wayne McClellan, Keoni Ichiyama, Kai Wiegand, Naruhito Yoshikawa, Kane Enomoto, Jonathan Casey, Rei Naiki, Wakaya Munekata, Micah Kimura, and Semoon Nakama. 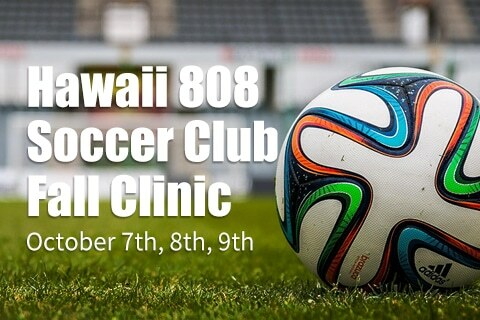 Former professional Manabu Komatsubara visits Hawaii 808 SC! Coach Manabu Komatsubara, a former Japanese professional player, visited on Monday. Thank you Coach Manabu for a wonderful training session! Please come visit again soon. Visit our Facebook page for pictures. Copyright © Hawaii 808 S.C. All Right Reserved.